Havana (AFP) - Cuba called Wednesday on US President Barack Obama to make the former Cold War enemies' reconciliation "irreversible," as they marked one year since the restoration of diplomatic ties. 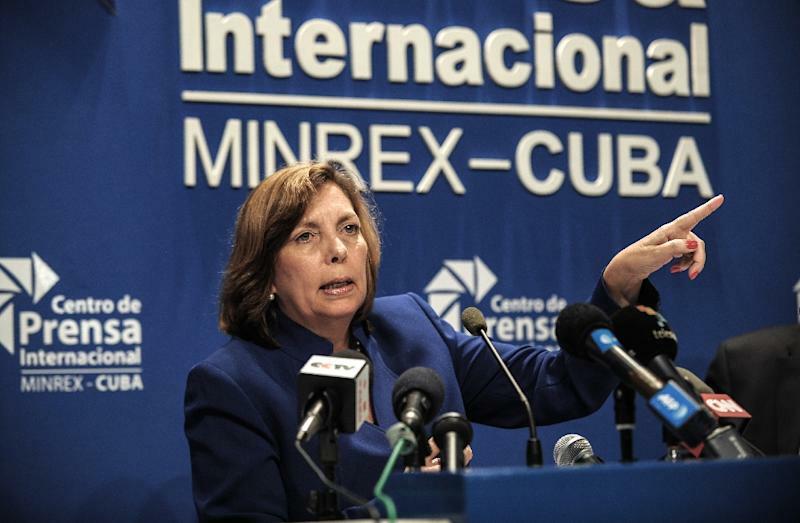 With the United States hurtling toward its November presidential election, Josefina Vidal, Cuba's top diplomat for US affairs, urged Obama to ensure his successor cannot undo the countries' historic rapprochement. Obama "can do much more to make the process irreversible going forward," she said in an interview published in the ruling Communist party's official newspaper, Granma. "Cuba has reiterated the importance of the president using his executive authority to the maximum to continue introducing political changes." 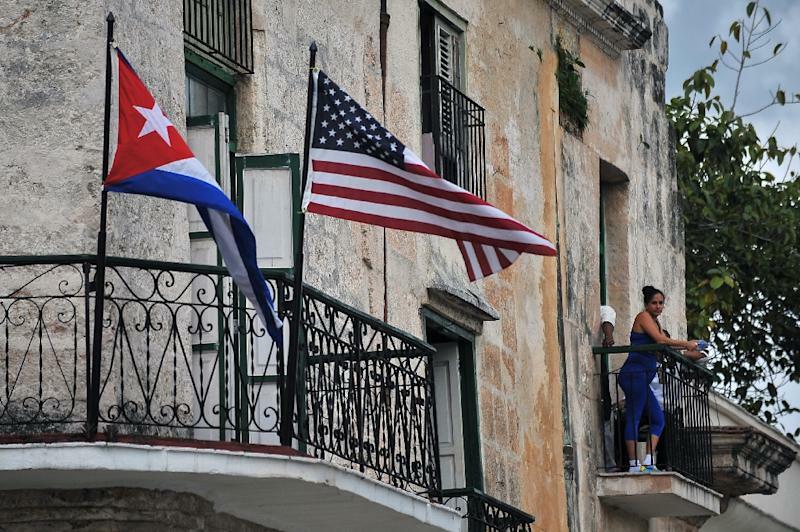 Since Obama and Cuban President Raul Castro announced the thaw in December 2014, Washington and Havana have taken once-unthinkable steps to mend ties after more than half a century of enmity. Obama has relaxed portions of the US embargo imposed since 1962, paving the way for visible changes. 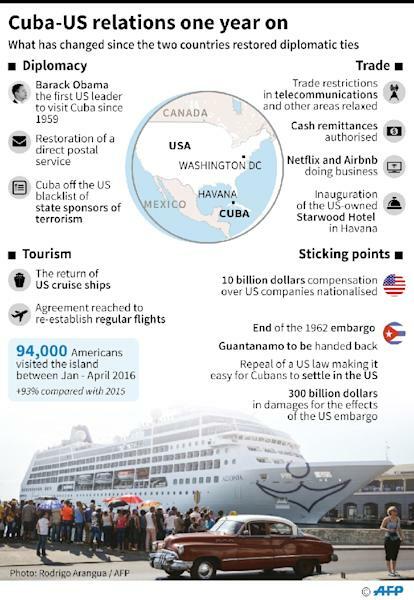 Cruise ships can now sail from Miami to Havana, regular commercial flights are due to resume in the coming months, US companies like Airbnb and Netflix now operate in Cuba and American hotel group Starwood recently opened a Sheraton in Havana. But Obama, who visited Havana in March, has failed to persuade his Republican opponents in Congress to lift the full embargo, the main source of lingering tension. Political analysts say neither Donald Trump, the Republican presidential nominee, nor Hillary Clinton, his presumptive Democratic rival, would likely reverse the rapprochement -- though they may not make the ongoing negotiations a priority. Vidal said some of Obama's changes -- including a green light for Cuba to use the dollar and transact with US banks -- have still not taken effect. "Our financial transactions continue to be blocked... we are denied all kinds of services, including our diplomatic missions and offices abroad, and banks and foreign entities linked to our country continue receiving fines," she said. "The US government has not issued any political statement or legal document explaining to the banks of the world that operations with Cuba are legitimate and will not be sanctioned." The United States for its part continues pushing Cuba to promise greater human rights protections -- a message that has so far received a steely response from the Castro regime. "Tough conversations on challenging issues such as human rights... lie ahead," said the US ambassador to Cuba, Jeffrey DeLaurentis, ahead of the anniversary.